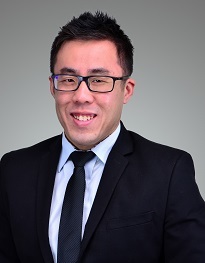 Benjamin Liew is a Partner with the firm’s Financial Institutions, and has acted for a diverse range of financial institutions including investment banks, private banks, local and foreign retail banks, insurance companies, investment advisers, fund managers, securities brokers, derivatives dealers and commodity traders. Benjamin was seconded to a leading international law firm in London in 2016. He is also recognised in The Legal 500 Asia Pacific (2017 and 2018 Edition) as a Next Generation Lawyer for Financial Services Regulatory in Singapore. Assisted and advised various leading securities and futures broking firms, fund managers and investment advisory firms from jurisdictions including the United States, Canada, Switzerland, the United Kingdom and India on licensing requirements and applicability of licensing exemptions; and acted for these clients in securing their capital markets services licences issued by the Monetary Authority of Singapore, covering a broad range of regulated activities under the Securities and Futures Act such as dealing in securities, trading in futures contracts, advising on corporate finance and fund management. Advised a major credit card and payment system company headquartered in Tokyo, Japan on its business agreements including agreements with its direct merchants and other co-branding and partnership agreements with its various business partners. Advised a new FinTech startup on its virtual stored value and payment system service proposed to be set up in Singapore and other jurisdictions in South-East Asia, on the general licensing and regulatory requirements under the Money-Changing and Remittance Businesses Act, Payment Systems (Oversight) Act and the Banking Act. Advised various other payment services companies and financial technology (FinTech) startups on the establishment of their financial services business in Singapore including regulatory and licensing matters relating to payment systems, stored value facilities, remittance businesses, deposit taking issues and other related issues under the Securities and Futures Act. Advised both Singapore and overseas financial institutions (such as banks, capital markets services licence holders, licensed financial advisers, fund managers and insurers) on Singapore financial services regulatory matters including substantial shareholding disclosure requirements, mandatory OTC derivatives reporting under the Securities and Futures Act, remuneration issues, outsourcing arrangements, conduct of business requirements, anti-money laundering and countering the financing of terrorism obligations, margin requirements and client monies rules. Assisted financial institutions with the drafting and development documentation, ranging from standard customer terms of business; bespoke product documentation; to outsourcing and services agreements. Assisted various corporate clients in the drafting and negotiation of the ISDA Master Agreement in repsect of their OTC derivatives transactions. Assisted in a multi-jurisdictional transaction involving the proposed investment of one of the largest banks in the Middle East in an international wealth management and investment advisory group operating in London and Singapore, featuring equity, debt and convertible financing structures. Regulatory approval from the Monetary Authority of Singapore for the proposed investment and change in control was required to be obtained. Advised on the largest listed Asian bank with a legal and regulatory review of its global private banking business, including reviewing, and making recommendations to its business model and legal documentation including customer agreements, internal service agreements and other documentation including internal compliance policies, international control and business process policies. The special review was subject to the approval of the Monetary Authority of Singapore. Advised a Swiss headquartered private bank on the potential regulatory and licensing risks under their cross-border private banking business model. Assisted an international multinational life insurance company headquartered in London in their proposed bancassurance tie-up with one of Asian’s leading banks headquartered in Singapore. Assisted a Taiwan based securities broker with the regulatory due diligence conducted on the target company, a licensed securities broker in Singapore. Advised and acted for numerous global commodity traders overseas and in Singapore on licensing requirements under the Commodity Trading Act regulated by International Enterprise Singapore, including the transfer of the regulatory and licensing framework for OTC commodity derivatives from the Commodity Trading Act to the Securities and Futures Act. Assisted a Canadian portfolio manager in the regulatory due diligence on various licensed and registered insurance brokers in Singapore in connection with its proposed investment in a leading international insurance group. Advised and acted for one of the largest palm oil businesses globally, headquartered in Singapore, in its competitive bid process for a private acquisition of an Indonesian palm oil business. Acted for one of the largest global communications group, listed on the London Stock Exchange and constituent of the FTSE 100 index, in its proposed share acquisition of a Singapore integrated marketing group whose operations span across various countries in Asia, including China, Korea and Japan. Advised the offeror’s financial adviser in the competing takeover offer for all the ordinary stock units and convertible bonds of WBL Corporation Limited, for a valuation of approximately S$1.25 billion.